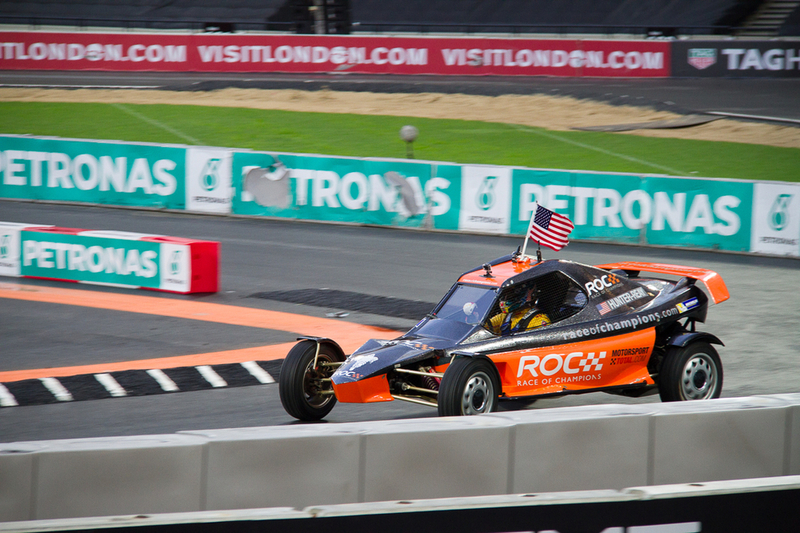 Race of Champions is an annual event that pits drivers of all disciplines together in a variety of stock cars to try and decide who is the best. Every year you get a mix of formula 1, touring cars and drivers from other motorsports battling it out to see who is victories. This year saw Vettel clinch the crown in London. Some of you may have seen that I raced in the SR1 Cup this year. The SR1 cup is billed as an amateur race series so you are not allowed to compete if you have raced competitively before.This yields mixed results; literally you get people with 100 track days under their belts or 2.. Until you are a few races into the season and start to learn people's driving characteristics it can be a little sketchy as some rather erratic manoeuvres are undertaken. 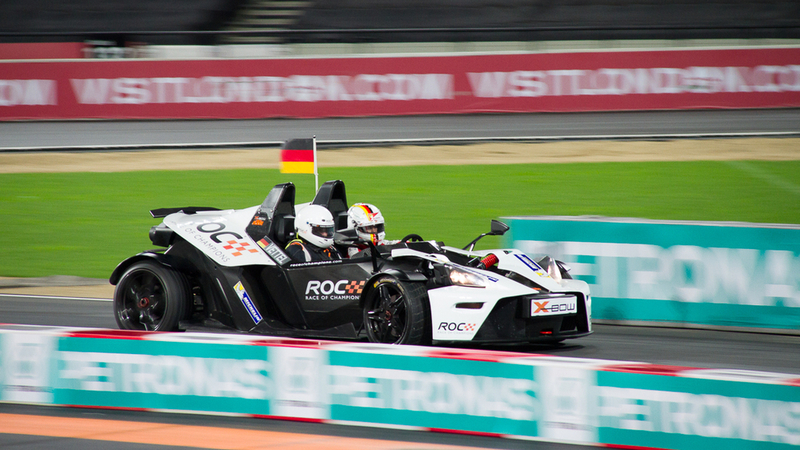 The SR1 is a motorbike engined 185hp 550kg track weapon. My car is fitted with the sequential paddle-shift gearbox and whilst I love using 3 pedals in my normal driving experience, when you are racing it's is nice to not have to think about it. You have to use the clutch to pull away but once you are moving it's just pull a paddle to upshift or down. Now 185hp doesn't sound like much but when it's only lugging round 550kg you really get your shift on. 0-60mph is meant to be around 3.6s and it tops out at about 140mph. Due to the light weight the initial acceleration is fierce but after about 100mph the aero and lack of horsepower slows down the acceleration a lot but saying that you are normally exiting a corner a good 15/20mph faster than everyone else anyway. Owning this car has ruined road cars on track for me. I can lap most tracks significantly faster than any road car and if you jumped up to the class above (sr3) they are a couple of seconds a lap faster than GT3 racing cars so we are talking serious stuff here. Now I've been thinking about this and whether it bothers me and has changed the way I view cars. As the owner of a GT3 RS which in itself is a good track weapon it's interesting how my mindset has changed. I know that I cannot drive the Porsche at 10/10ths on the track, my wallet and soul do not allow this, putting it into a wall is not an option. Compare this to the radical and it's designed to be repaired, smashed up and abused. I couldn't care less if I scrape the side a bit, as long as it functions I'm happy. Now driving a car with this attitude lets you access a whole new level of speed, you can finally brake at the last of the braking points (where locking or messing up will send you super deep or potentially off the track) and really push the car. I've learnt so much by going beyond my limits that it is difficult to see much track time in other cars again. Yes the RS will go on track again but more for learning the dynamics of that rather than chasing speed. I guess I should probably address the actual question in the title now. I considered a few race series including the caterham academy and mazdas etc. The key bit that pushed me towards radicals was the fact that they are fast as hell and I wanted something that was completely different to the road experience. I didn't want to go race something that was slower than my road cars and the sr1 seemed to fit the mould. No traction control or ABS mean that you are completely on your own but running a pseudo road tyre and not so much aero make the cars more playful.